Your payment and personal information is always safe. Our Secure Sockets Layer (SSL) software is the industry standard and among the best software available today for secure e-commerce transactions. It encrypts all of your personal information, including credit card number, name, and address, so that it cannot be read over the Internet. You have 30 days to decide if the item is right for you. Black Bottle Brewery will refund any item(s), provided that the item(s) has not been damaged, soiled, washed, altered or worn and that all labels and tags are attached. Underwear/swimwear bottoms are final sale for hygienic reasons. Please email all concerns/questions regarding returns to help@blackbottlebrewery.com. All returns will be considered on a case-to-case basis by the merchandise team, at which point you will receive further instruction. 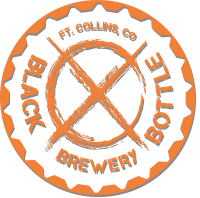 Cost of return shipping will be made at the expense of the buyer, OR you may return/exchange item(s) in person at Black Bottle Brewery (1611 S. College Ave. Suite 1609 Ft. Collins, CO 80525). Black Bottle Brewery will cover the cost in the case an exchange is made. Please DO NOT send returns to Black Bottle Brewery unless otherwise instructed. Shop wisely. We currently offer free shipping within the Continental US. Please be assured that your items will ship out within 5-10 business days of purchase. We determine the most efficient shipping carrier for your order. The carriers that may be used are: U.S. Postal Service (USPS), United Parcel Service (UPS) or FedEx. Sorry but we cannot ship to P.O. Boxes. If you’re trying to estimate when a package will be delivered please note the following: Credit card authorization and verification must be received prior to processing. Federal Express, UPS, and USPS deliveries occur Monday through Friday, excluding holidays. 5-10 business days is typical for shipping and handling in the Continental US. Shipping and handling will be determined by the buyer’s location. Shipping and handling might be offered for some locations outside of the U.S., but is left to the discretion of Black Bottle Brewery. Thank you and remember, Craft Beer Rocks!